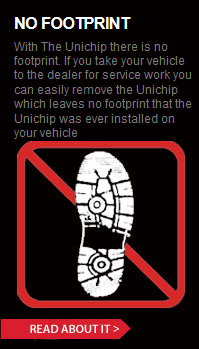 “The Unichip is the finest engine management tool available… period. If we could use only one tuning solution, it would be the Unichip. Each of our ten performance centers tunes with the Unichip every day, and its flexibility means we never turn away a customer because we can’t tune their vehicle. Whether we’re working on a shop “standard” upgrade, doing a one-off track car, or undertaking an R&D project destined for a media review, our tuners handle each with the same software and equipment. That means our tuners quickly become proficient with the Unichip and that means they turn out quality tunes rapidly. High production with very low comebacks leads to happy customers that tell their friends. All in all, the Unichip gives us what we need… a strong profit center for the business. Lee S. , “home-tuner” , Oregon.